JOIN MY #AmbitionRedefined Ambassador TEAM! You’ll help me and lots of smart women! choose WHATEVER is easy FOR YOU! Pre-order my book. Substantial sales before my launch date of October 9th are a critical indicator that local and chain booksellers should buy the book, too. I’m thrilled if you buy the book for yourself, but please also think about a bulk purchase for your own book group, PTA, professional organization, social club, holiday gifts, etc. 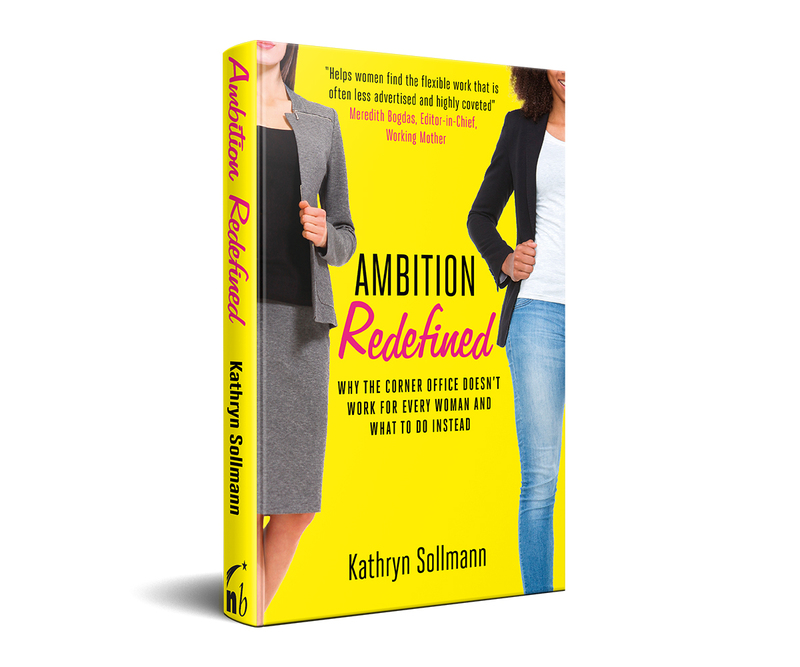 When you pre-order you become a member of the Ambition Redefined Book Club with great perks—a Sneak Peek and Flexwork Action Plan; access to free webinars that answer your flexwork questions; and a free resume or LinkedIn review. Order at least 10 copies and I’ll customize a virtual book club event just for your grouP! Attend my book LAUNCH & NETWORKING event! If you’re in the area, mark your calendar for my launch week book signing and networking event at Barnes & Noble 5th Avenue in New York City on October 11th. 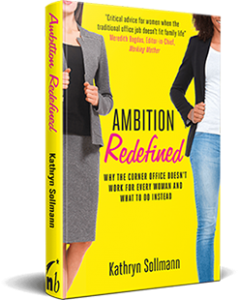 I’ll sign your book and introduce you to other women brainstorming about ways to blend work and life—as well as recruiters who are helping women find flexible work. Register here and bring friends! Schedule other business or personal appointments that day in NYC! Please RSVP right away, since 150 women must be signed up by September 25th. WRITE A LAUNCH WEEK REVIEW. The more early reviews that are posted on Amazon, the more attention my book generates. Reviews can’t be posted until the launch date of October 9th. If you’re willing to post a review in the October 9-12 timeframe, first pre-order my book. Then email me to request a review copy pdf of my manuscript. For extra impact you can post your review on Goodreads, too! Click “Want to Read” on Goodreads. If lots of people do this, it will show a groundswell of interest for my book. Click here to register your enthusiasm! Spread the word at your local library and bookstore. Ask them to order my book and consider asking me to speak at a virtual or in-person event. Print out this flyer so they can read about my book and the great endorsements I’ve received. Post on social media. First, follow me on social media: Twitter, Facebook, LinkedIn and Instagram. Click here for a book image you can use in your posts. If you’re not a social media fan, go to #7! Start an email campaign. Copy and paste this note into an email to at least five friends, family members, colleagues, volunteers—any women you know who are struggling to find ways to blend work and life. Women at home looking to return to work, or women on the corporate fast track wishing they could find a way to lean in-between. Introduce me to 5 “Influencers” in your personal and professional circles. Which women do you know who know just about everyone? The heads of the PTA or community groups, corporate women, officers of professional organizations—anyone who is an amazing networker and might be a resource for generating speaking invitations and creating buzz about my book. Here’s a note you can cut and paste into an email. Share my blog posts about #AmbitionRedefined themes. Here are five articles you can share on your social media now. Click on any link, read the article, add a comment if you like, and hit the share buttons at the end of the page. Make sure you’re on my newsletter mailing list so you know when I have new content, and look for lots of other great articles on my blog. Invite me to speak to your company. I love doing customized workshops and interactive presentations to help employers retain women at risk for leaving the workforce—discussing strategies for making work work and ways women can “grow in place” during heavy caregiving periods when they don’t really want the big promotion. My message that women should always find flexible ways to work (so that they earn money they can save and invest) is also popular for clients and prospects of financial advisors. Learn more here. Thank you for being part of the #AmbitionRedefined movement! You’re helping to change the work paradigm for many smart, talented and ambitious women today…and for all the daughters who follow.